Join us in a land of adventure! It’s finally time! 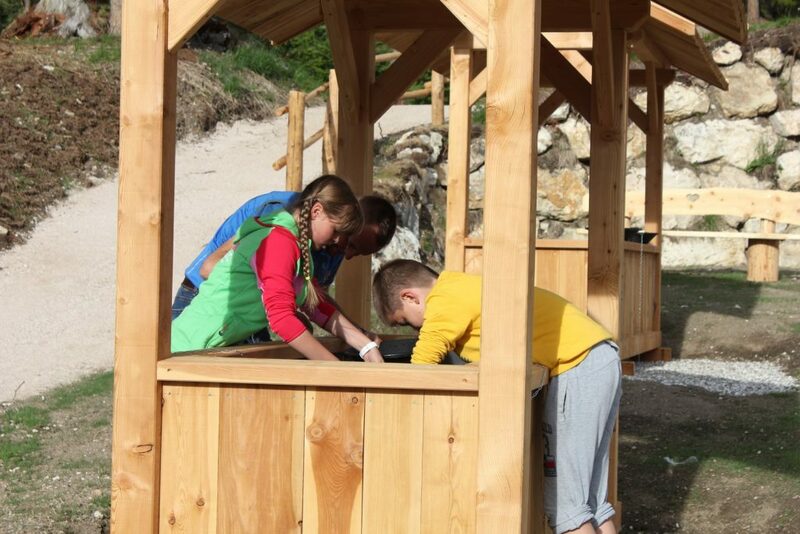 In June of this year we’re opening up our new world of nature experience for kids at the “SummerPark La Crusc.” Numerous exciting and informative play stations await visitors young and old! The new SummerPark La Crusc is located at the top of the first lift of the mountain station in an area that benefits from sun throughout the day. It’s a place of adventure for the entire family that will guide younger guests on an extra special journey of discovery in nature. 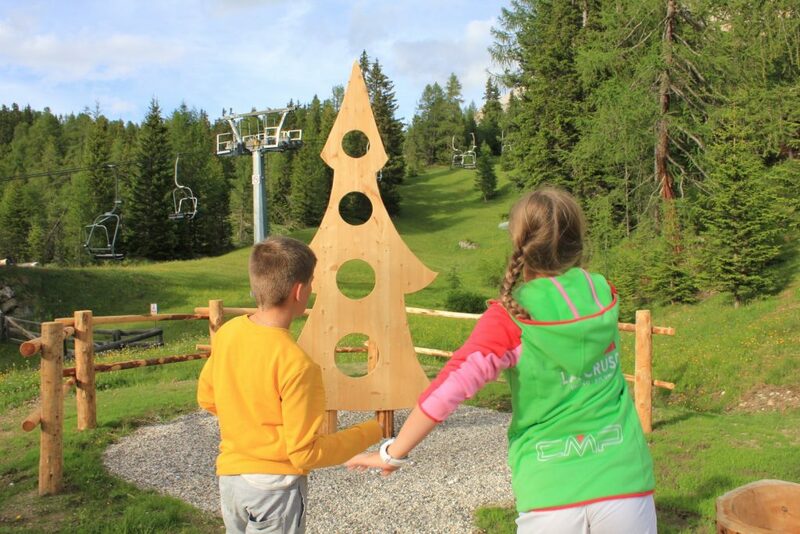 All stations on the circuit are connected to one another and the numerous new and entertaining attractions are just waiting to be discovered by visitor young and older! If your throws are true you’ll become a master marksperson. 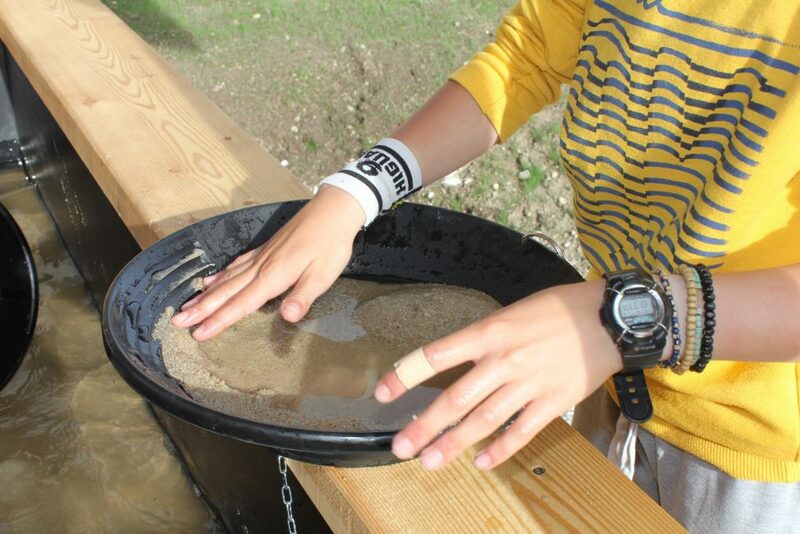 Or try your luck at panning for gold, follow the water’s course or compete in the fight of the marmots. In between activities, little ones can rest on our animal themed ‘bear,’ ‘rabbit,’ and ‘chamois’ lounge chairs. Here kids can summon their courage before entering the dragon’s cave. According to legend, a dragon once ruled here! 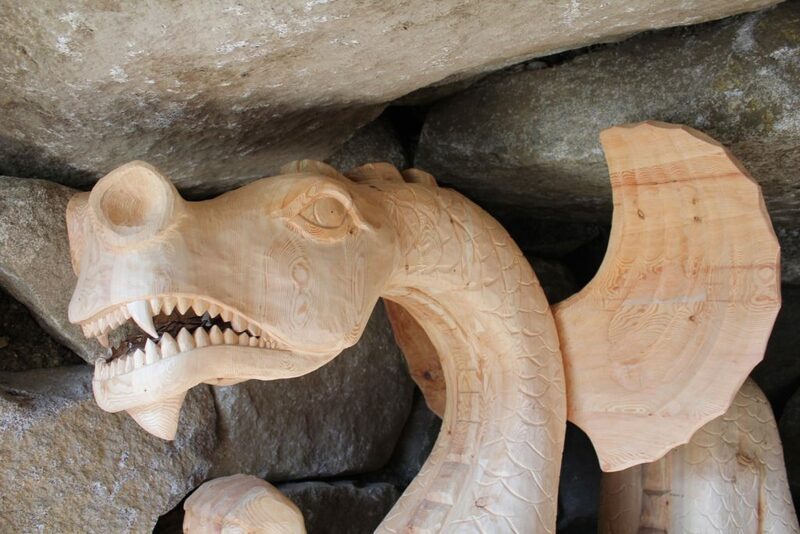 Read all about the story of the Ladin legend entitled „L‘Dragun de Sas dla Crusc“ (The Dragon of Kreuzkofel). Once upon a time, the courageous nobleman Franz Wilhelm von Prack is said to have freed the valley from the shadow of the dragon. 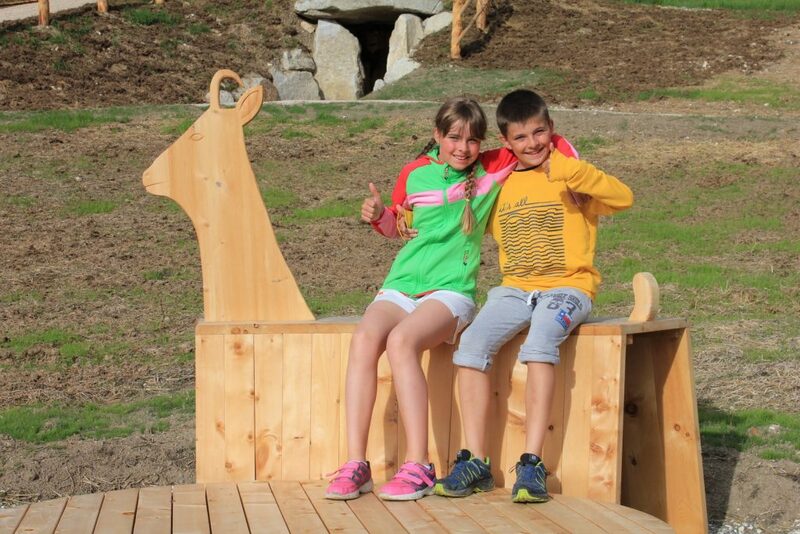 Nearly all of the stations have been newly created for the spring of 2017 although the popular giant chairs made of wood, the mini petting zoo with alpacas, donkeys and rabbits, as well as the huts with photo exhibitions will be newly integrated into the SummerPark. The theme of the photo exhibition will change each year. 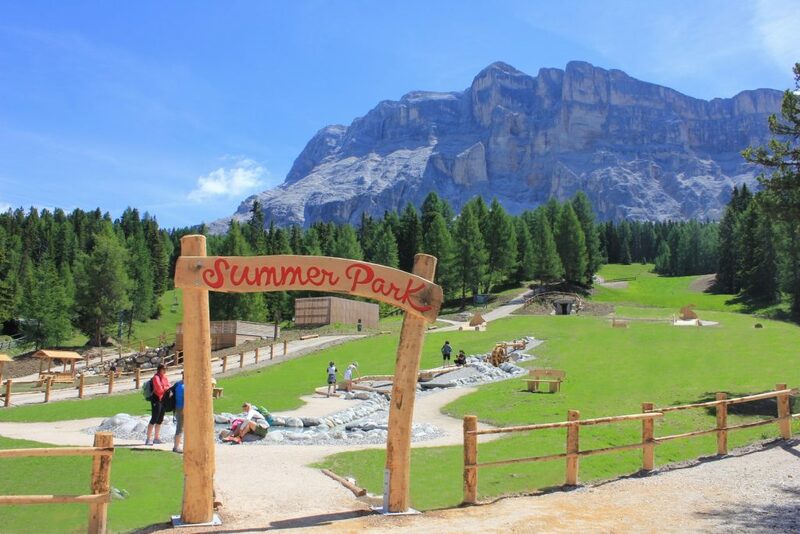 This year’s exhibition concerns the “UNESCO World Heritage Dolomites”. 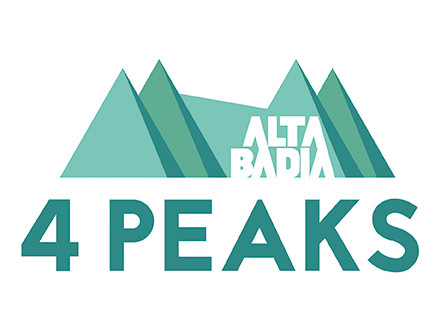 This will also be the theme of three informational meetings (on 11/07, 18/07/ and 14/08) in which guests will be treated to detailed information about “les nostes munts” (our mountains) in the UNESCO World Heritage area. More information on this topic and additional events taking place as part of our summer events series is available by visiting EVENTS.